A firework display of dashing colours will put up a smile on the lips every recipient! 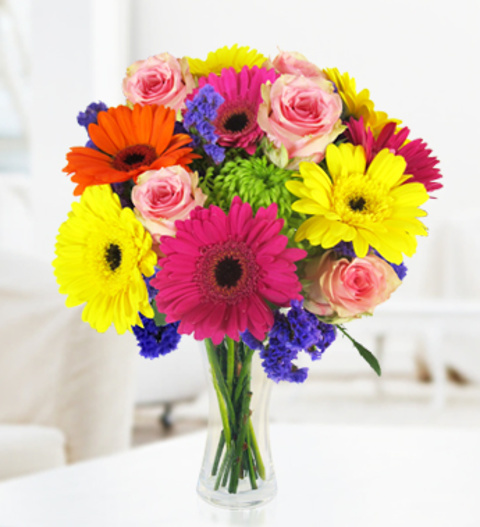 The serene mixture consists of Iris, roses, Gerbera, Germini and chrysanthemums in an extremely wide range of colours. The bouquet is suitable for every occasion and is available for next day delivery.